Check it! I have posted every day for a week. I guess that is what comes from "taking it easy". I figure that typing on the computer is a safe, low intensity, pregnancy activity. Easter is one of those holidays that if you go overboard on decor it can be a little cheesy. Too much pastels and things start to look like a baby nursery. 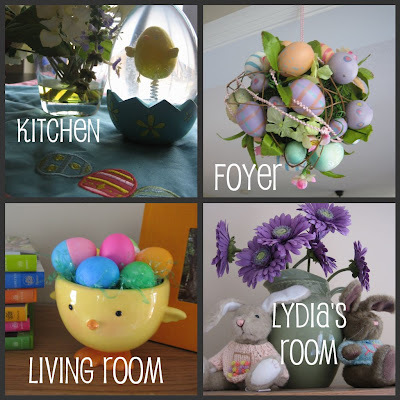 I like to have one Easter thing in each room just to make things a little more festive. Still a little cheesy, but in a good way. For Family Home Evening we decorated Easter Eggs. Totally old school, nothing fancy. I don't know what I was thinking by only boiling 12. Lydia was just getting started at that point. Amazingly the event was spill free. Lydia and I were feeling a little cabin fever yesterday. 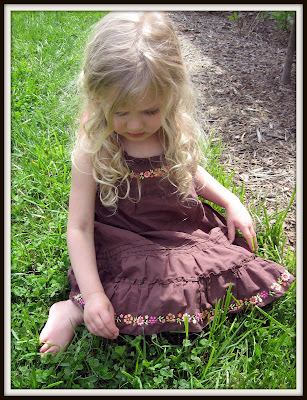 I took a blanket outside, had a picnic and I watched her pick clovers in the yard. And this is her exactly 15 seconds after I told her it was nap time :) Within 5 minutes of this photo she was fast asleep....and so was I. Side note. Lydia has the most beautiful Easter dress. This lovely salmon pink dress that matches my Easter outfit and Shane's Easter tie. We put it on yesterday for a dry run and it is HUGE. Usually 4T fits great, but this looks like a potato sack on her. Now I am scrambling. I am not really supposed to go out and shop, but hello....it is Easter Sunday! I have a commitment from Shane for a family photo! I may just have to have something overnighted. 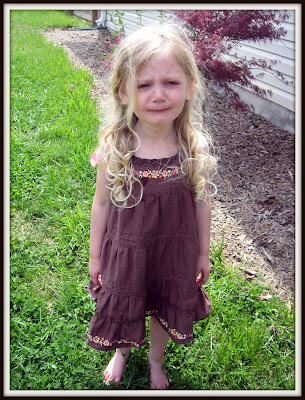 Oh why didn't I learn to sew. That is such a precious photo of Lydia, even though she's crying and obviously upset. And I absolutely love your egg basket chandelier thing in your foyer. Did you make that? I agree that Easter can look cheesy. I have that same little yellow chick- I love it, so cute! 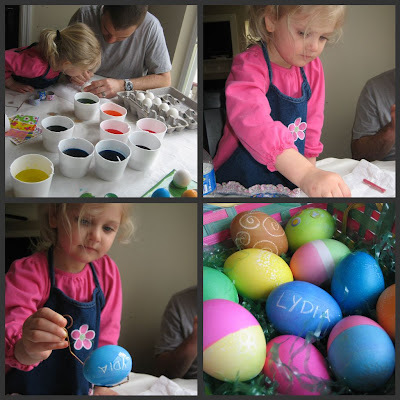 I'm old school with coloring eggs too, it's fun and easy and cheap! Good luck with a dress solution! Thanks Abby, I will let you know. Congrats again on your little girl!! !